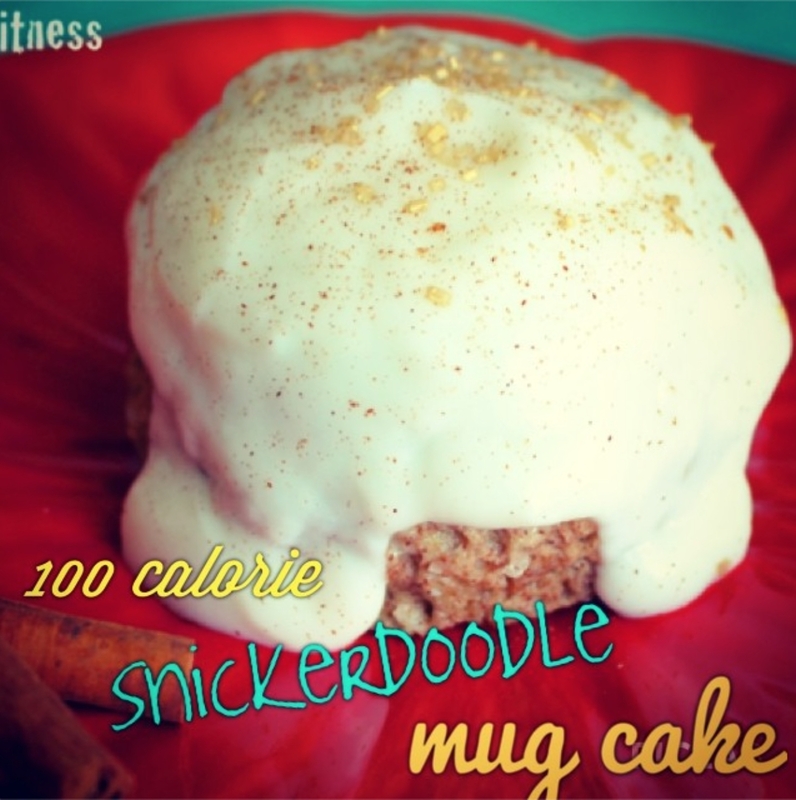 Here's a light, fluffy and moist cake that's only 100 calories! It tastes like the cake version of a cross between a snickerdoodle cookie and a cinnamon roll. 2. Spray mug with non-stick cooking spray, pour cake mixture into it and microwave on high for 2 minutes and 15 seconds. 3. Transfer to a plate (or leave it in the mug) and allow mug cake to cool for about 1 minute before frosting with 2 tbsp light vanilla Activia yogurt, sprinkling with cinnamon and serving.